The Wild Center’s Youth Climate Initiative (YCI) is a year round program that engages youth from around the world to take action in their schools and communities against climate change. The YCI begins with the annual Adirondack Youth Climate Summit (AYCS), where teams of high school- and college-age students and their mentors gather at The Wild Center, a science center in northern New York State, to learn from climate scientists, educators, engineers, farmers, and from each other. Over 20 different plenary sessions and workshops are offered during the two-day event with ample time for students to network, exchange ideas, share effective practices, and plan future actions. The sessions focus on topics from youth leadership and club organization, to school gardening, energy efficiency, transportation, and waste management. Attendees leave the Summit equipped with knowledge about climate change, its international and local impacts, and how youth have the power to create and implement solutions to combat its effects. A central component of the Adirondack Youth Climate Summit is the student-generated Climate Action Plans (CAPs), which are organized, solution-oriented goals for participants’ schools and communities to reduce their carbon footprint and increase awareness around action on climate change. Projects and initiatives directly resulting from these student-created CAPs have included the establishment of school gardens, expansion or creation of recycling and composting programs, composition of articles for local press and digital media, filming educational videos, presentation of climate change awareness at various events and assemblies, and execution of carbon audits. 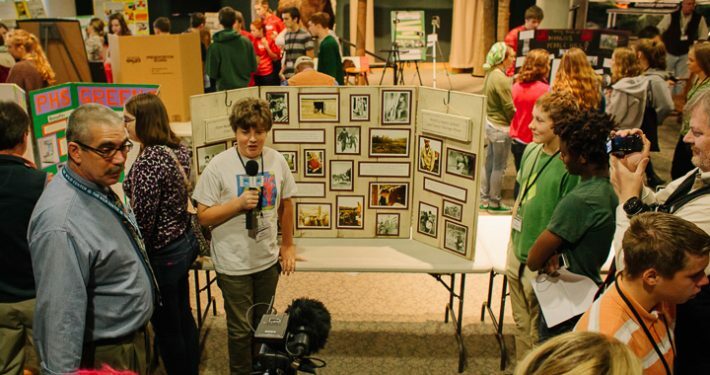 Each year, students from area schools return to the Adirondack Youth Climate Summit, report on how their initiatives and CAPs are progressing, and continue to assess and improve upon their ideas and solutions. The AYCS has not only been a powerful vehicle for inspiration, learning, and community engagement, but also for youth leadership development skills. Ultimately, the project-based learning surrounding the creation of unique, sustainable, student-driven CAPs readies young participants with the tools required to enter the 21st century workforce. The Adirondack Youth Climate Summit is one element of the Wild Center’s Adirondack Youth Climate Program (AYCP), an initiative that supports student action year round. Each year the summit hosts approximately 150–180 student participants and 35–40 educators and administrators who serve as mentors to their students. With its eighth year on the horizon for fall 2016, the summit has already directly impacted over 1,400 individuals. Indirectly, through community projects and initiatives, AYCP has impacted over 25,000 individuals! Encouraged by success over the past seven years and interest from other science centers, the Wild Center continues to support this youth-centered movement. The Wild Center launched the Youth Climate Initiative, to share the Summit model throughout the world. The model is a broad-reaching toolkit designed to be place-based and engage youth in climate literacy and action planning, which makes it easily scalable to any location. 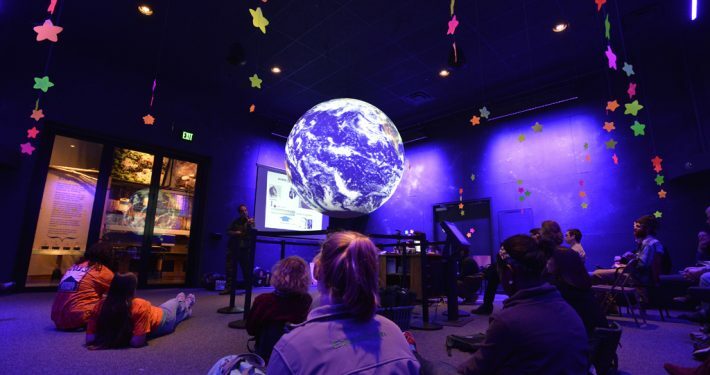 The Wild Center has collaborated with organizations such as the Association of Science and Technology Centers (ASTC) and the National Oceanic and Atmospheric Administration (NOAA) to help implement Youth Climate Summits with interested organizations in many places. 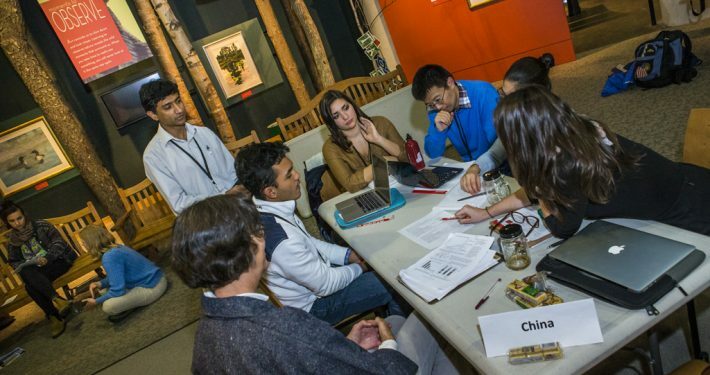 The collective goal of all involved organizations is to share this convening program format and support the development of Youth Climate Summits across the international science museum and education community. To date, the following Summits have been held, modeled after the Adirondack Youth Climate Summit: Finland Youth Climate Summit, North Country Local Food Summit, Vermont Youth Climate Summit, Seattle YouthCAN Summit, Boston YouthCAN Summit, Detroit Youth Climate Summit, Catskills Youth Climate Summit, and the Houston Youth Climate Summit. Additional summits are being planned in Colorado, New York City, Alaska, and Sri Lanka. The Scale-Up Initiative has put the Wild Center’s Youth Climate Initiative in the international sphere. The Youth Climate Initiative was highlighted as a commitment by the White House Office of Science and Technology Policy’s Climate Education and Literacy Initiative. More recently, an alumna of the Adirondack Youth Climate Program, Gina Fiorile, was awarded the White House Champion of Change Award for Climate Education and Literacy for her work creating the Vermont Youth Climate Summit for high school students across the state, held at the University of Vermont. In December 2015, Gina attended the United Nation’s COP 21 climate negotiations in Paris, France, where she served as a representative for The Wild Center’s Youth Climate Program and presented Our Time to Lead: Youth Engagement on Climate Change as the opening presentation at the U.S. Center. Jen Kretser, director of programs for the Wild Center, presented on a panel at COP 21 with “I Am Pro Snow,” an initiative of Al Gore’s Climate Reality Project. The Wild Center partnered with ASTC to host an interactive live-stream dialogue, held at Universcience in Paris, between science centers in Finland (Heureka), Argentina (Mundo Nuevo), South Africa (Durban Science Center), and India (the NCSM), as well as the Wild Center and the Michigan Science Center. In addition, the Wild Center collaborated with NOAA to create a youth climate engagement webpage to highlight activities across the country that exemplify the positive impacts of NOAA and the YCP. The Wild Center’s Adirondack Youth Climate Program and Youth Climate Initiative perfectly embodies Sustainable Development Goal #13 because its purpose is to empower the young generation that is perhaps the last generation to have a chance at combatting climate change. It provides youth with knowledge and resources about how they can take immediate action both locally and globally. Youth Climate Summits are motivational as much as they are educational because they prominently feature speakers, leaders, and students who are already doing incredible work to combat climate change and create resilient communities. The Summits clearly outline the urgency of climate change while simultaneously inspiring students to have hope about the future of our climate.